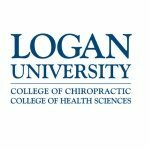 June 28, 2012 — Logan College of Chiropractic/University Programs officially dedicated a new 13,000-square-foot educational wing on its suburban Chesterfield, Mo. campus at a special ribbon-cutting event held June 21 during the school’s annual homecoming. The $4.9-million capital improvement project, which required 13 months from design to construction completion, included renovation of the Montgomery Health Center and the Performance Health Biofreeze Sports & Rehabilitation Center as well as the creation of the Foot Levelers Inc. Clinic and the Standard Process Inc. Courtyard. Over the past five years, Logan has invested nearly $40 million toward modernization of its educational programs and 112-acre campus, located about 30 minutes west of downtown St. Louis. Other dignitaries on stage included Dr. William D. Purser, a major donor for the new Educational Wing; Charlie DuBois, president of Standard Process, Inc.; Kent Greenawalt, president and chief executive officer of Foot Levelers, Inc.; Steve Roberts, J.D., chair of the Logan Board of Trustees; Dr. Allen Epstein, president of the Logan College Alumni Association; Brian Snyder, president of the Logan Faculty Council; and Christina Lynch, president of the Logan Student Doctors’ Council. During the formal ceremony, Epstein presented two special awards. Purser, an August 1953 graduate and major donor to the school, received the “Tower of Chiropractic” award. Dr. Debra Hoffman, a Sept. 1980 graduate and vice chair of the Logan Board of Trustees, was honored with the Logan Alumnus of the Year award for her service to the college. The new Logan educational wing is a multi-level facility that features a state-the-art assessment center on the ground level for utilizing standardized patients. The assessment center enhances student-faculty collaboration where they can share their clinical observations. It also allows students to transition from the classroom to the exam room in a real-time clinical assessment setting.